The Jets’ GM Mike Maccagnan pulled off a St. Patrick’s Day blockbuster trade that will have major repercussions in the early selections of the NFL Draft 2018. The Jets’ major deal will affect several teams’ draft strategy, including the Browns, cross town rival the Giants, Broncos, Bills and possibly the Colts again. The Jets sent the 6th overall pick to the Colts 1st round pick, for the 3rd overall selection. The Jets surrendered three #2 picks – two this year #37 and #49 plus their 2nd round pick in the NFL Draft 2019. It was an excellent move by Maccagnan that puts the Jets in a position to get at least one of the top three QBs at worst in this talented class. Virtually every draft move into the top five choices for a franchise caliber QB always includes a #1 pick the following year. Maccagnan wisely retained the Jets #1 selection next year. He benefitted from having another early pick #37 plus the #49 pick obtained in the trade that sent DL Sheldon Richardson. That deal helped leverage the move to #3 overall this year. Richardson left Seattle after one season and recently signed a one-year deal with the Vikings. The Browns hold the key to the top four with both the #1 and #4 overall selections. They are reserved to select a QB with one of the choices and waiting to the 4th overall pick would be risky considering the QB need at both the top of the draft, in addition to several other clubs looking for their future starter. They were burnt just two years ago when they traded out of the #2 overall pick with either Jared Goff or Carson Wentz guaranteed on the board. The Eagles landed Wentz and he is their franchise guy going forward with great early reviews despite the late 2017 injury. The Browns are once again back to the drawing board at QB. With that disastrous decision still vivid in their memory, they are very committed to add the QB now and most likely with their top selection. They did overspend and use a #3 pick this year on stop-gap vet QB Tyrod Taylor. The Giants are actually in the ‘Catbird Seat’ at the #2 overall pick. New GM Dave Gettleman is a savvy personnel man with a history with the Giants and instrumental in their recent two Super Bowl teams. He loves value and knows the impact of their last #2 overall pick, Lawrence Taylor had on the franchise for over a decade when they won their first two Super Bowl titles. Their current presence at #2 puts a lot of pressure on the Browns to select a QB with the top pick. The Browns also love running back Saquon Barkley and have considered him at #1 overall, but the Carson Wentz debacle set the franchise back at least three years if not a decade. With the Bills, Broncos and Cardinals still actively trying to move into the top five, the Browns can not afford to lose the #1 QB prospect. The Giants have many needs and will entertain all offers. The Browns and Bills have multiple top 100 selections, including both teams holding two #1’s along with Cleveland holding three and Buffalo two #2 choices. That’s ammo for moves into the top five with next year’s #1 the final leverage to close any deal. Giants love Barkley and will not hesitate to use the #2 overall pick to select the blue-chip back. With a trade with Cleveland at #4, the Giants probably lose Barkley and would have to like their 3rd ranked QB or another blue-chip prospect to make the deal. The Browns have Barkley high on their list and landing him and a top QB could be franchise changing moves. 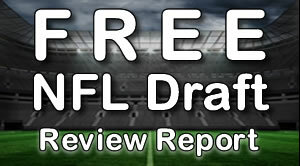 Their high multiple selections have produced a 0-16 club and the top overall selection again. The Jets have struggled landing a franchise type QB since the days of Joe Namath. Consequently, they have been a perineal non-playoff club with a constant changeover of the coaching and front office staffs. The St. Patricks’ day draft deal puts them in a position to land the rookie QB they want to lead the franchise and allow him to sit initially. The Jets added young QB Teddy Bridgewater (25) in free agency plus resigned starter Josh McCown. Both signed one-year deals at fair value contracts. Jets hope Bridgewater wins the starting job in training camp after coming off a serious knee injury in August 2016. Maccagnan hopes to address their long-term plans with the 3rd overall pick, but the addition of Bridgewater gives the Jets a chance to capture lightning in a bottle if he proves healthy and returns to his 2015 playing form. With five weeks until the NFL Draft 2018, the trading market has never been hotter. The Jets blockbuster trade forces the Bills to make a move and at the #12 and #22 picks, they will need to move into the top 10 to realize their QB. They may have to make two moves like the Eagles did to move to land Wentz. Bills will speak to the Colts who are interested in moving back for the right selections. The Colts hold the #6 pick from the Jets and will listen to the Bills who hold two selections in each of the top three rounds. The Broncos have been quiet since signing vet QB Case Keenum who is coming off a career performance with the Vikings. Denver does hold the #5 overall selection which keeps any bidder in the QB mix for the 3rd or 4th overall passer probably available. The NFL Draft buzz continues to heat up with clubs trying to position themselves to land a blue-chip leader and QB. Stay tuned the upcoming decisions will have a broad base impact on the shape of the NFL divisional races for years to come. 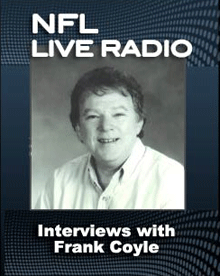 Frank Coyle is a long-time scout with nationwide ties with coaches, scouts and player agents. He is a long-time member of the FWAA and voter in College player awards – Heisman, Outland, Nagurski, Lombardi, Thorpe, Biletnikoff etc for the past 20 years. He writes College Football Mondays weekly during the season. He is a longtime scouting consultant for the Senior Bowl, the nation’s premier postseason All-star game. He does sports radio shows for ESPN, Fox Sports and Sporting News on a year-round basis related to College Football especially during the postseason team and All-star Bowl time. He has worked for CBS Sports, NBC Sports, Yahoo and Rivals sports publications and web sites.